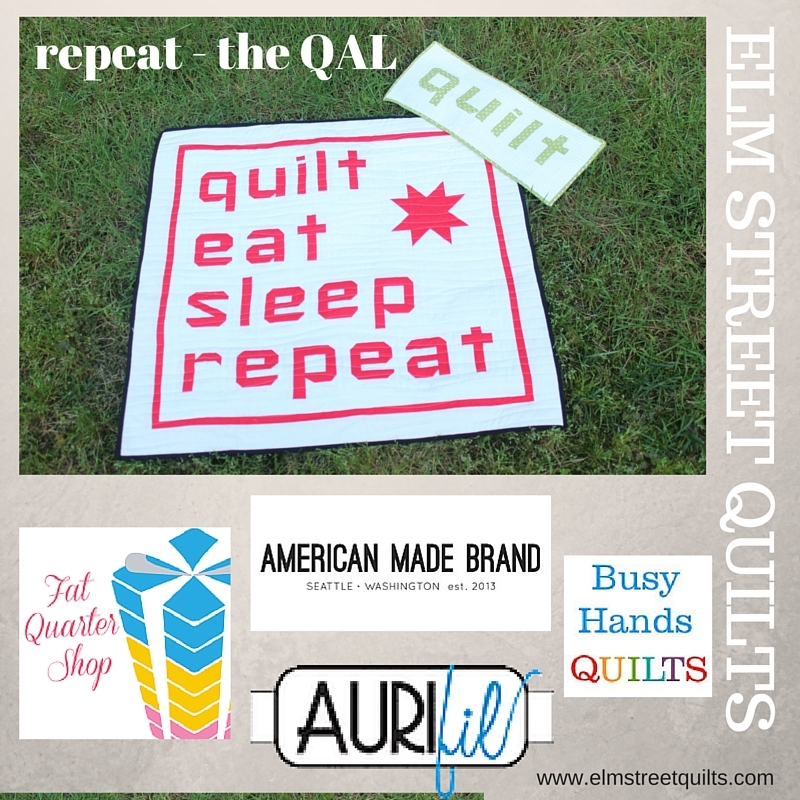 Last chance to enter your repeat QAL quilt tops! Linky party for the repeat QAL will remain open forever but today is the last day to enter your quilt tops! Find the linky party here!! Prize winners will be randomly selected tomorrow! I already posted mine, but finished it yesterday and am ready to hang in in my stitching room. I love it! Thanks so much for the great QAL. It has been so much fun seeing the different versions of the quilt. Thanks for visiting Elm Street Quilts. Looking forward to hearing from you! The content of this blog is the property of Patty Dudek. The patterns are copyrighted for ©Elm Street Quilts. Tutorials are posted for your personal use. If you make something from a tutorial and post on your blog, please give credit with a link back to Elm Street Quilts. Happy Birthday Green Fairy Quilts! Bag It - Coming this September! Congratulations to the repeat QAL winners!